As a bona fide back-to-the-land old hippy, I’ve been farming organically for over 40 years, not too successfully at first. Early on we were worried about all the chemical contaminants in our food and environment that led to Americans having 10 times the cancer rate of the rest of the world. We soon learned that there are lots of good ways to grow food organically, composting, fertilizing with manure, companion planting, raised beds etc. And of course we didn’t use chemical fertilizers, herbicides, pesticides or other petrochemical products. But we stuck to “tried and true” farming techniques: tilling or rototilling the soil, pulling or hoeing weeds, cleaning out the garden beds in the winter, removing and often burning dead plants or pruned branches and leaves. I’ve now come to see that in many ways those techniques were wrong. 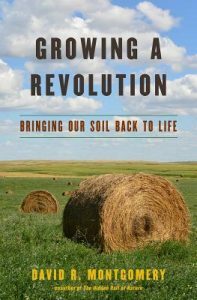 Over the past year or more I have been reading about Regenerative Agriculture (Rodale’s term) also known as Natural Farming or Carbon Farming. I’ll give some sources, but I want to sow a few seeds of thought first. Pathogens, organisms that use up or injure the resources they depend on, don’t survive in the long run although they may thrive at first. (I’m not talking about politicians or CEOs here but this is a principle after all.) The organisms that do survive form symbiotic relationships with the world around them. In other words they give back as much as they take and the whole system is healthier. We often think of plants as competing for sunlight, water, space and nutrients. But we seldom think about what was going on in the soil beneath them. 70% of the life on earth lives beneath the soil. There is a LOT going on there and like other organisms, these have evolved over millions of years to maximize symbiotic relationships. The soil biome includes microbes, bugs, fungi, and worms. In soil, as with any natural environment, diversity enables resilience. Also like above ground ecosystems, soil depends on sunlight. Not sunlight on the soil directly but sunlight changed by plants into sugars. That was a revelation to me but it’s big. 20% to 40% of the sugar a plant produces “leaks” out of the roots. Bacteria feed on this and so do mycorrhizal fungi. In exchange the bacteria feed nutrients such as nitrogen to the roots and the fungi bring up minerals and water in exchange for sugar. Some estimate that 90% of terrestrial plants have a beneficial association with arbuscular mycorrhizal fungi. 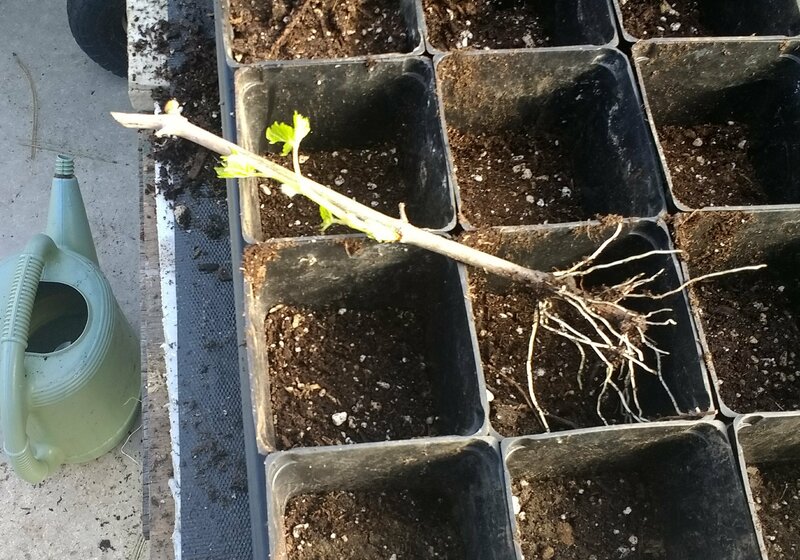 I saw this interaction first hand this spring when I inoculated grape cuttings with mycorrhizal fungi. Previously with bare cuttings dipped in “rooting compound” I was getting 40% to 50% of them to root. With the fungi this spring I got over 90% to root. Carbon is the other big deal. All of these organisms are made of carbon and live off carbon. In fact the health of the soil is directly related to how much carbon it contains. One form of sequestered carbon is of unique interest, biochar. Basically just charcoal, biochar provides shelter for bacteria in its pores and since it is inert, it stores carbon taken from the atmosphere for millennia. Ancient civilizations from the jungles of South America to the plains and forests of North America burned underbrush and prairie grass that ended up in the soil. “Terra preta” is soil black with biochar. It is the richest in the jungles of Brazil where rains otherwise leach out nutrients. Think of you stomach. Every day microbes in you digestive system move nutrients into your blood system and eliminate the waste without themselves being eliminated. Biochar is part of the digestive system of the soil. Speaking of digestive systems, animals and ideally humans give back pre-processed carbon nutrients to the soil. Soil works better when animals including humans are in the mix and yes just like soil, our digestive systems work better when the flora in our gastrointestinal track are in balance. The key to symbiosis is that one organism’s waste is another’s food which brings me to the main revelation of Regenerative Agriculture: Healthy living soil provides more nutrition than soil fertilized only with inert ingredients. Realizing that I needed more carbon in my soil this spring I had two huge dump truck loads of “yard waste”, (basically leaves and grass though admittedly including sticks, stones and plastic), brought to my vineyard from Colville’s yard waste dump. I have been spreading it between the rows of grape plants and have watched a miracle take place. Even though covered by an inch of mulch, the grass, clover and wildflowers sprang back a dark green color and 5 times as big as before. The mulch held water and released nutrients into the soil. It also had worms and fungus that gave my grape plants more growth and increased the overall amount of living organic matter. It will continue to increase these effects. So what about that increased carbon in the soil? Climate scientists are thrilled. Even if we stopped emitting carbon from burning fossil fuels right now, the earth would continue to warm and release even more carbon from the oceans and permafrost. We need to get it out of the atmosphere to restore the climate and regenerative agriculture puts it back in the ground. Increasing the carbon in agricultural soil by 2% would reverse mankind’s carbon footprint back to pre industrial levels. Exposed soil breaks down plant residue and releases it back into the atmosphere. 1. Don’t plow or till because it breaks the threads of fungus feeding roots and exposes soil to sun and rain that kill micro organisms and create runoff. 2. 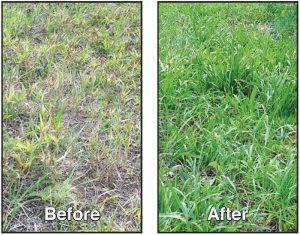 Use a diverse mix of cover crops because they can adapt to variations in weather and soil conditions while continuing to supply the soil with sugar and protect it from sun and rain. 3. 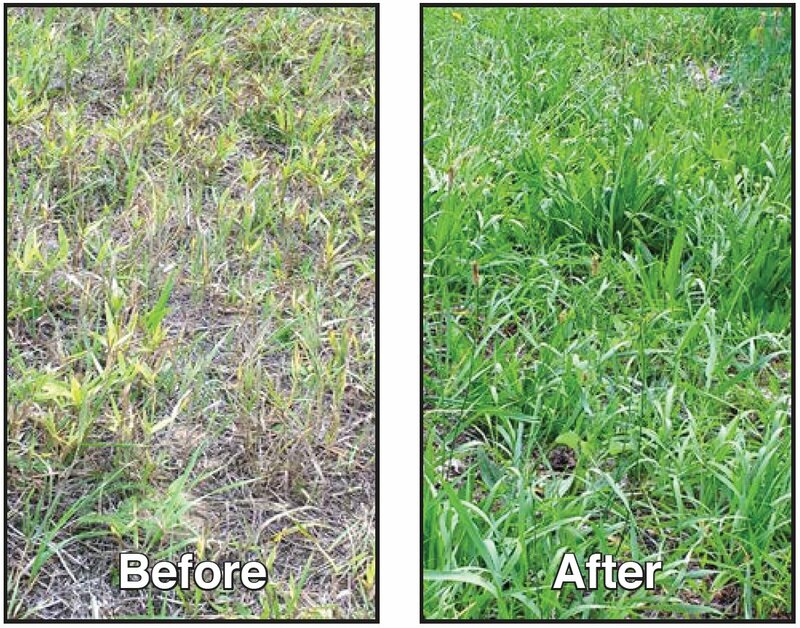 Keep cover crops growing all year long to sustain soil life. Soil Carbon Restoration, Jack Kittredge (2015) – Google this and download Soil Carbon Restoration. It is the best short paper on the whole topic. Regenerative Organic Agriculture and Climate Change, Rodale (2014) – The original source, a 14 page downloadable PDF. Everything I want to Do is Illegal, Joe Salatin (2007) – A fun book about how Salatin took a run-down farm and regenerated it into a fertile and high-producing operation.